So are you an author or publisher who wished there could be some way to convert your HTML files into Kindle format. HTML files usually make use of special formatting with regards to its text and if your document has many images, then conversion into Kindle format could be a daunting task unless you seek an expert’s help. If you want your HTML files to retain its fine quality and originality after Kindle conversion, the only way is to seek help of the expert in the field as many of the HTML tags are not allowed in Kindle file. Since, e-readers like Amazon’s Kindle are fast gaining popularity in the eBook market; it is a wise business decision to offer your readers with a compatible format to download your books. 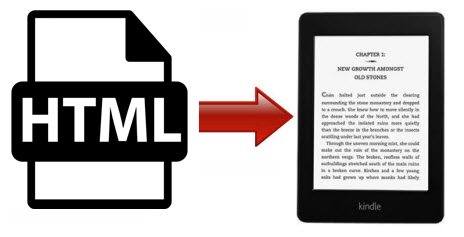 HTML to Kindle conversion will not only increase your eBook downloads but also expand your target audience. According to statistics, Amazon has a hold over 62% of the entire eBook market and the number is rising with each day. Therefore, converting your files into Kindle format is the best way to tap the growing eBooks market. If you want to convert your files from PDF to Kindle, XML to Kindle, Word to Kindle, Printed book to Kindle, indesign to Kindle, Quark to Kindle, HTML to Kindle or Scanned book to Kindle, IT Global Solution is your companion. We have an expertise in converting files from any format to the Kindle file format. After we receive the payment, we will begin the conversion process. We manually convert html to mobi and hence issues of improper formatting or blurred images are out of the question. A thorough quality check will be conducted after the conversion to Kindle format to ensure error-free Kindle file. You will receive the converted Kindle file via an email. You can double-check the file and let us know if certain changes are required. Once you are satisfied with the output, we will email you the final file that can be uploaded to your Kindle account. To get started with the conversion process, kindly send the *HTML file to Bob@itglobalsolution.comor call Bob at Supremus Group on (515) 865-4591. If the size of the file is over 15MB, you can send it through free service of www.yousendit.com OR upload it to our FTP server. Kindly contact us for a login and password. *We convert html to kindle or mobi for authors, publishers, and copyright owners only. If the book is no longer copyright protected please provide us with the full publication details.